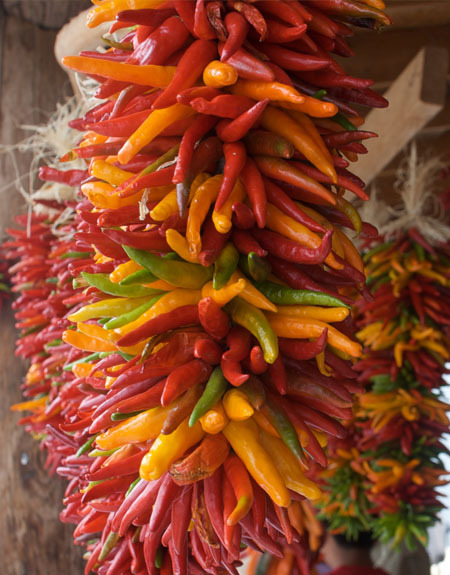 A ristra is simply an arrangement of drying chilli peppers. They’re incredibly easy to make and they can look just stunning. Fine, smooth fishing line is the best thread for your ristra because it offers least resistance, enabling the chillies to slide on with ease. Cotton thread comes a close second. Begin by tying a knot into one end of the line. The knot will support the first chilli so it needs to be a good size so it won’t drop off. Thread the other end of the line through a darning needle then begin threading on your chillies. 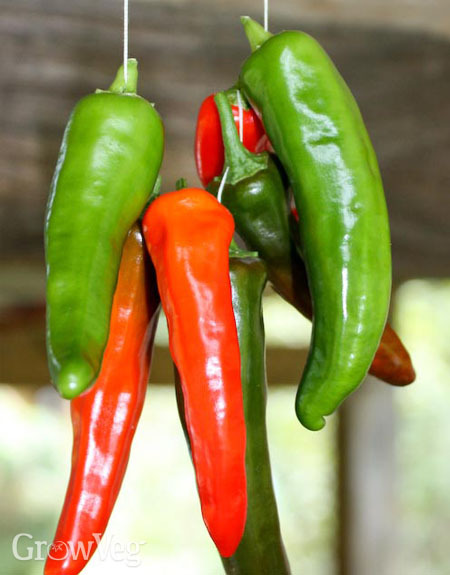 Push the needle through the green cap of each chilli, rather than the flesh of the fruit, which could serve as an entry point for mould.